But what I can I do? When we keep holding on to the best days? Just looking for another you! Just looking for another you! another you! I'm just looking for another you. 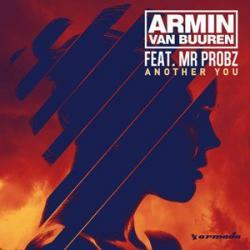 ANOTHER YOU es una canción de Armin van Buuren del año 2015. La letra ha sido escrita por ARMIN VAN BUUREN, NIELS GEUEBROEK, GOEIJ DE BENNO, DENNIS STEHR; publicada por Sony/ATV Music Publishing LLC, Peermusic Publishing, Warner/Chappell Music, Inc., Downtown Music Publishing, BMG Rights Management.